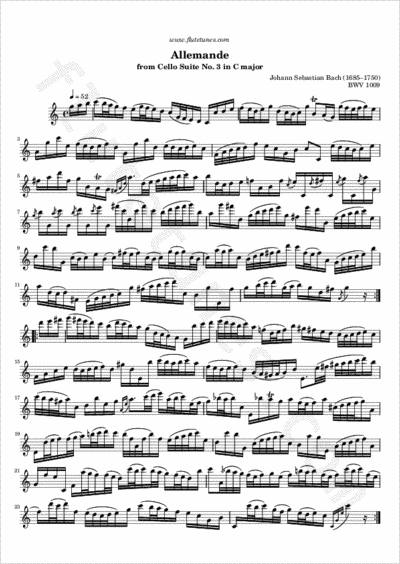 This lively Allemande is the second movement of Johann Sebastian Bach's third Suite for Unaccompanied Cello. It is the only movement in the suites that has an upbeat consisting of three sixteenth notes instead of just one. This piece can sound very beautiful if you choose your articulation carefully.